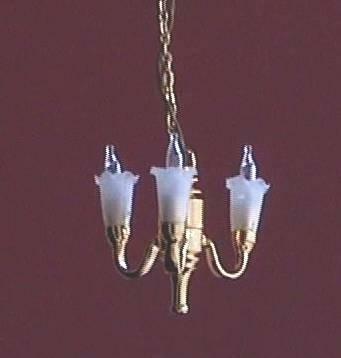 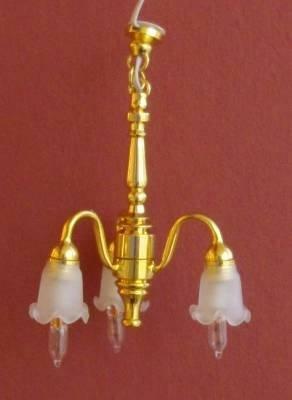 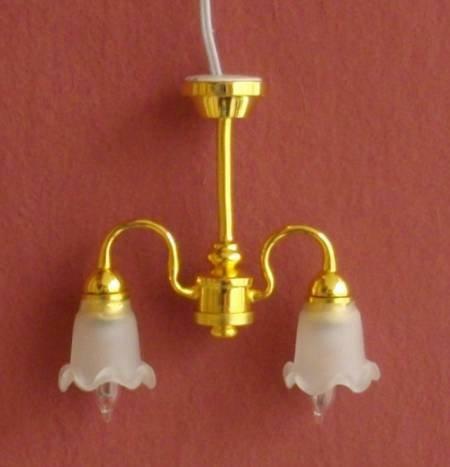 1/24th scale dolls house 3 arm tulip pendant light with shades facing down. 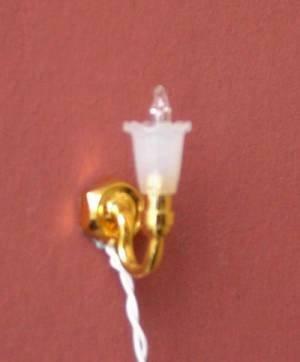 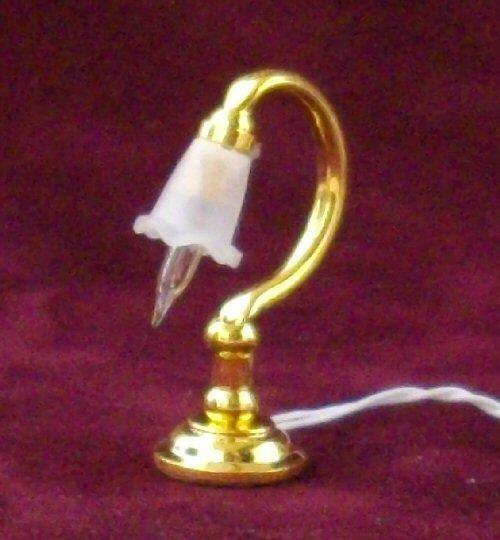 Includes wire, 3 x 12v candle bulbs and 2 pin plug. 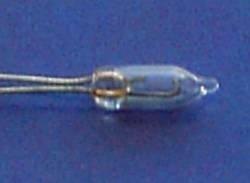 Measures 56mm drop (including protuding bulbs) and 24mm wide. 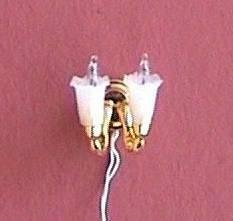 Can be fitted with the 6v bulbs to use with the battery box. 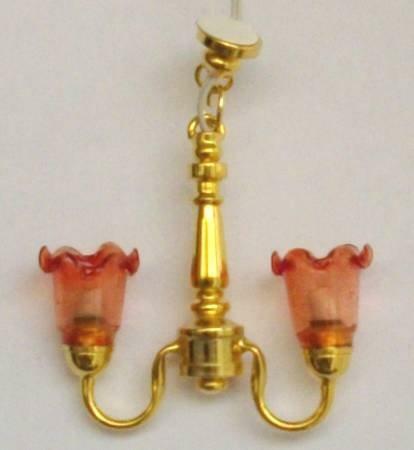 See below for more miniature lights with tulip shades.